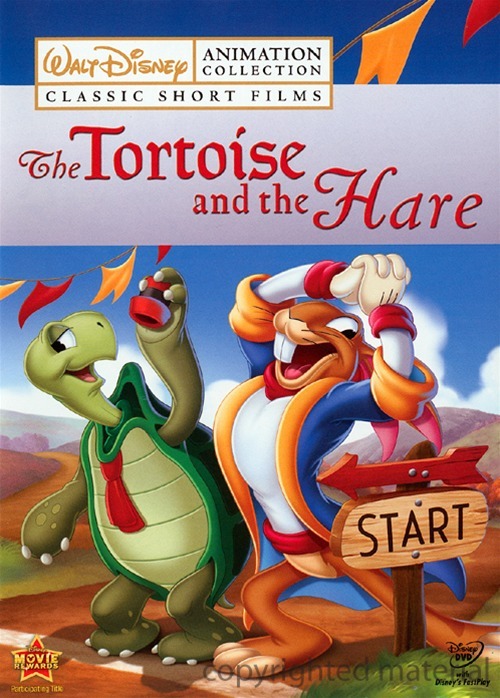 Walt Disney's Academy Award -winning adaptation of The Tortoise And The Hare (1934; Short Subject -- Cartoons) is now part of the Disney Animation Collection series on DVD! Join the excitement as unlikely competitors Max Hare and Toby Tortoise challenge each other to a foot race. Max is so confident he will win, he takes time out to flirt with some cute bunnies, show off his skills in other sports and break for a nap. But when he hears the crows roar for Toby, who has slowly and steadily kept to the course, Max must make a last-minute dash for victory. Will the ever-persistent Toby beat him across the finish line? Filled with classic Disney short films that will enchant your family, each and every volume in the Disney Animation Collection series is the perfect addition to your DVD library!